It’s happened again! You’re getting ready to leave for work or to take your daughter to school when you suddenly look at the time! Breakfast will have to be eaten in the car. You spend your lunch break responding to emails and before you know it, your salad has disappeared, and you can’t even recall what you just ate. Because our lives can be so busy, routine moments like sitting down and eating a meal are often low on our priority list. 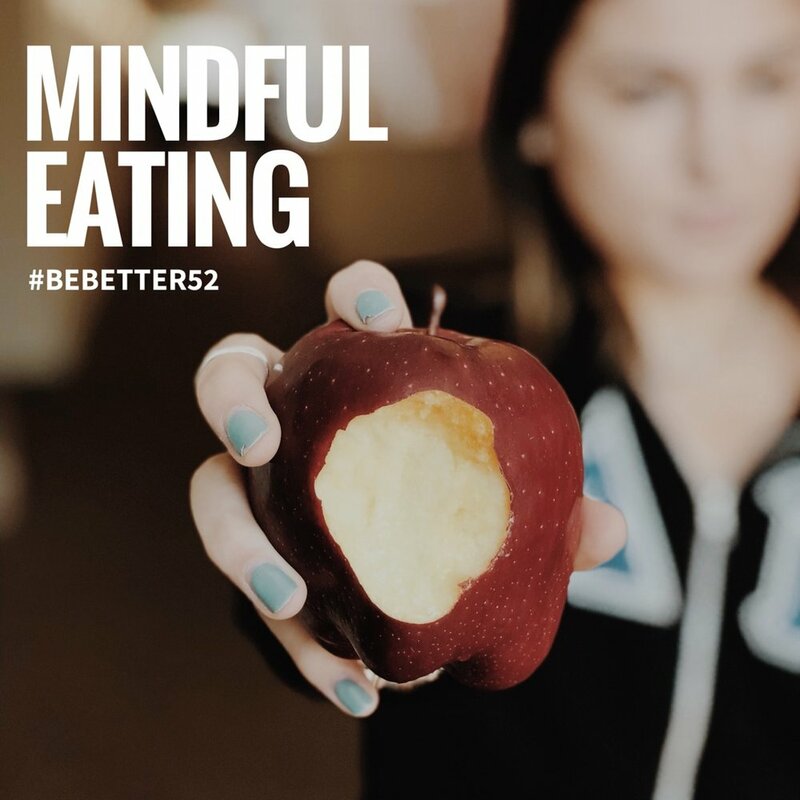 However, this week’s #bebetter52 challenge is to change that by engaging in “Mindful Eating.” This practice essentially involves paying attention to what you are eating, chewing slowly and appreciating the flavors, and listening to your body’s hunger cues. For at least one meal this week, sit down and enjoy your food by being present in the moment. A few techniques make this easier: put away any electronics during the meal, set down eating utensils between bites, chew food 20 times per bite, and hold the fork in your non-dominant hand. We have found these tips lend themselves to a mindful eating experience. There are many benefits to engaging in the practice. According to US News, mindful eating can help you lose weight and avoid type 2 diabetes! Eating slowly helps you have a better sense of when you are full, allowing you to eat less while actually enjoying your food more. Additionally, according to Medium, mindful eating promotes better digestion and absorption of nutrients. The digestion process actually begins as you chew your food. By breaking the food down more, you make it easier on the rest of your digestive system to process and make use of the nourishment you are providing it. Mindful eating can also be incredibly beneficial for your mental health, as it allows you to take some time in your day to practice meditation. You have to eat no matter what, so why not make it a time to be present and to express gratitude? We can’t wait to see what delicious meals and peaceful moments are in store for our 52ers this week!